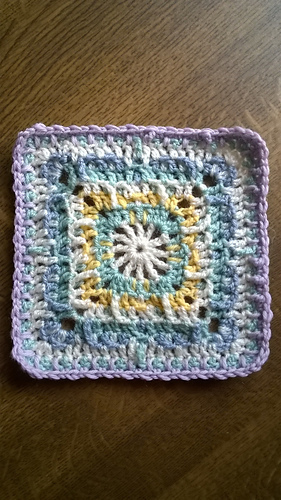 If you weave your ends in carefully this pattern is reversible. Use whatever sized hook is needed to match gauge. 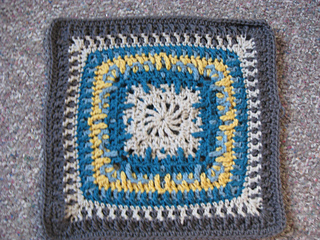 The original close-up photo used as a pattern request for Lenore’s Square was accidentally of the back of the afghan. 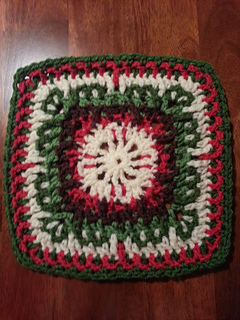 I wound up really liking the reverse and set about trying to create a pattern which would do it justice. Finally, after multiple attempts, my husband declared that both side looked “equally good.” Hopefully you’ll agree. Yardage was determined by taking the weight of the finished block and calculating based upon weight/length data printed by the manufacturer. Numbers are rounded up to the nearest whole yard/meter and should be used as approximate guides. Be aware that yarn usage will vary based upon hook size and yarn weight. I’d like to give a huge thank you to my testers; tinafos, grannibarb, craftynanalady, and Lettice. This pattern wouldn’t be half as nice without their help. Thank you hrdnglynne and other 2018BAMCAL mods for finding a few small errors. A corrected version has been published. 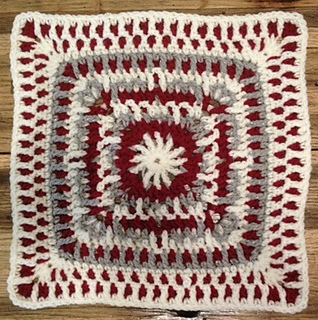 This pattern was featured as the 2018BAMCAL July Main Square. Round-by-Round photos and additional help may be found there as well.